Oliva Mixed Collection #7 contains a smorgasbord of top-rated blends from a company known for producing some of the world’s finest Nicaraguan cigars. You get 12-full flavored beauties in an assortment of wrapper styles, each displaying the unique Cuban-style flavors that has made it enormously popular on its own. This assortment is a must-have for Oliva fans, and anybody else looking to experience the very best flavors that Nicaraguan tobaccos have to offer. Super cigars at a super price. Great value. 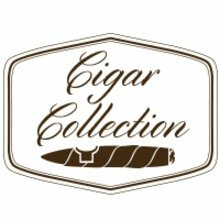 Top rated Oliva cigars under $40. Master blend was my favorite. Best collection of smokes I've tasted in years-will definitely bee on the lookout for others on sale in the future! Oliva cigars are a mild yet flavorful. The variety of within the sampler make it a great deal. For those who enjoy variety and quality, I recommend the Oliva sampler. Would never imagined how good Oliva Cigars were, but do now because of this sample pack. Found some great cigars in here. I’m in love with the Cain Daytona. Not the biggest fan of the master blend 3. I wish this sampler was for sale instead of just part of a deal. I was very impressed with the draw, flavor, and consistency on the nubs, cains, and Master #3. The G has been a go to for me for many years. I have never been a tremendous fan of the Oliva Connecticut or the O, which is why there were not five star ratings across the board. I would have rather had a 10 cigar sample that included a Serie V and a Serie V Melanio, but they were a bonus, and everyone has there own personal favorites. All in all, they were great tasting smokes of very fine construction. I find room note to be particularly nice with Oliva cigars as well.